Travelling east from Waterside and Newfoundland Creek, you cross Long Marsh Creek, pass the end of the Cape Enrage Road, then up Lewis’ Hill and down Bray’s Hill, where there’s a great view of Chignecto Bay and beyond that a long stretch of the Cumberland County coast of Nova Scotia. The countryside here is known as New Horton, which extends as far as Harvey. Some of the early English-speaking settlers came from Horton, Nova Scotia. The place was once divided into three different school and post office districts, to shorten the distance for school children and getting the mail. Beginning at Bray’s Hill, there was Little Ridge, New Horton and finally Upper New Horton. Farming and lumbering were the main occupations and there was also some shipping from the little port of Two Rivers and from the eastern tip of Long Island on the edge of Ha Ha Bay. The first settlers here were the French, who lived nearer the shore than today’s Inhabitant. They made good use of salt marshes and some of the remains of their dykes are still plainly visible. There also are stamps and other evidence of apple trees they planted. 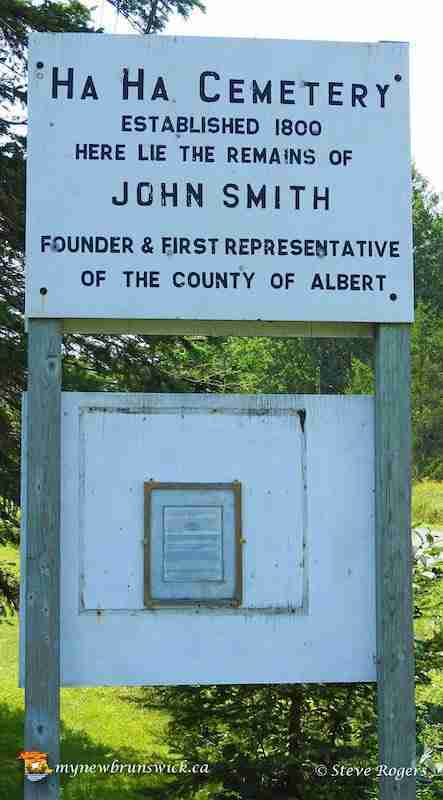 There are three pioneer cemeteries in the area, including the well-known Ha Ha Baptist Cemetery, where John Smith, the “founder and first representative of Albert County” is buried along with two of his three wives. Besides the cemetery and small bay, the “Ha Ha” name is applied to the creek draining from Ha Ha or New Horton Lake, which is about a mile north of New Horton, and is about two miles long. Legend has it that the Indians took the “ha ha” from the call of the loons. On calm, summer days you can hear the loons calling there and the small island near the centre of the lake is called, you guessed it, Loon Island. A short distance southwest of Ha Ha Lake is a smaller lake, Lockhart Lake, where there used to be a water-powered saw mill where the lake empties into Long Marsh. There were also at least one of these mills in Waterside, one on a small brook draining into Long Marsh Creek, and another on Little Mill Brook that empties into the north side of Ha Ha Lake. New Horton has produced many coastal and deep-sea captains. 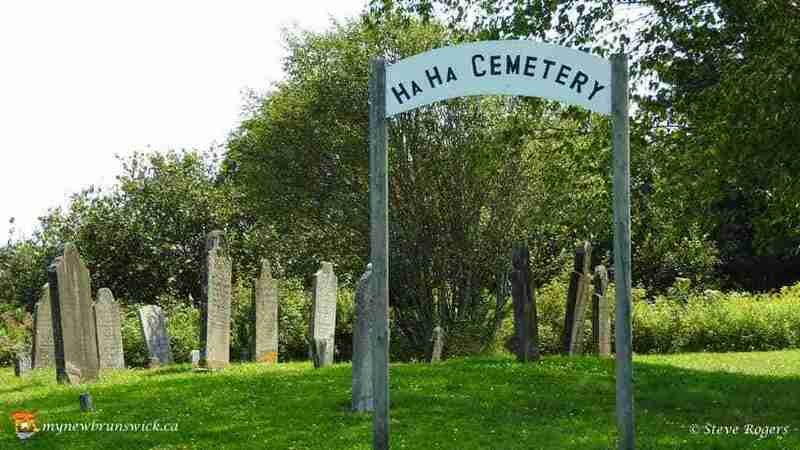 According to markers in local cemeteries, one died at age twenty-eight, ironically by a fall from his horse, while another lived to be nearly a hundred and three. This post has already been read 1963 times!